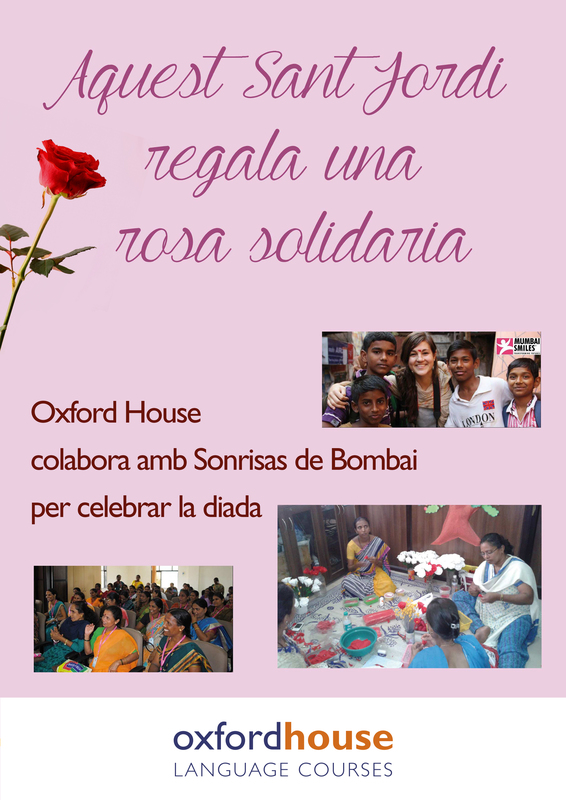 At Oxford House we love to celebrate Sant Jordi, and what a better way than to turn this special day into an opportunity to help those in need. On Thursday, April 23, from 8h to 20h, we will be at the school, C / Diputació 279 – corner of Pau Claris, selling roses made by participants of the SEEDS project by the NGO, Mumbai Smiles. All funds raised will go entirely to help this organization, an NGO that focuses its efforts on the peaceful fight against poverty and advocates for human rights in the slums of Mumbai. Education, health and socioeconomic development are the main projects carried out by this group. They also run campaigns and raise awareness, speaking out against human rights violations and the exclusion that millions of people suffer in this Indian city. They work with the most underprivileged communities in Mumbai and aid development by generating tools that promote structural change and social transformation towards self-sufficiency and equal opportunities. They currently reach over 4,670 people directly and maintain links with 900 municipal schools in Mumbai through their network of professional and committed volunteers. The paper roses we will be selling are made in this city by a group of women participating in a programme called SEEDS. This year, more than 500 women are participating in this project to change their own history as well as that of their community in favor of a friendly social model with equal rights and opportunities. This Sant Jordi is also special for Mumbai Smiles as they are celebrating their 10th anniversary. To celebrate they are holding various events around the city, and for the second year running they’d like us to participate. 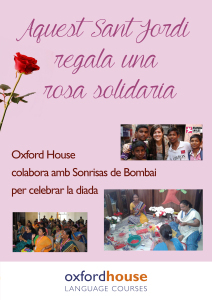 If you would like to participate, you can donate your time by volunteering at our stand (just let us know by sending an email to info@oxfordhousebcn.com so we can add you to our list of volunteers) or by purchasing a paper rose at school this Thursday. Let’s celebrate Sant Jordi with a small gesture that can make a big difference!